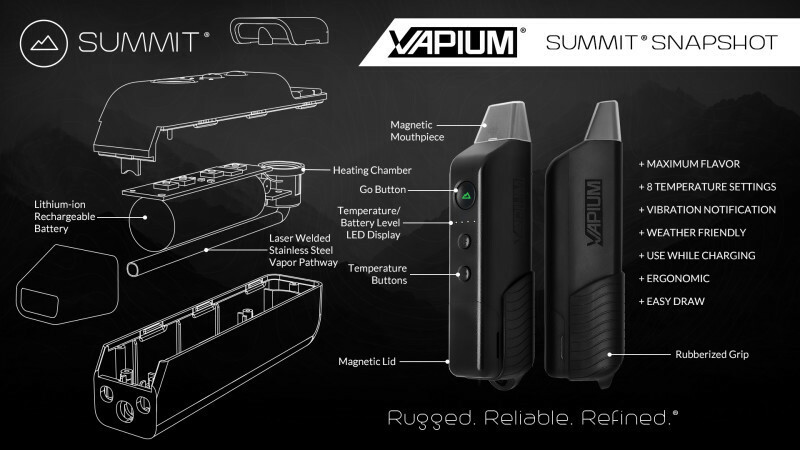 The Vapium Summit vaporizer is compact, easy to use and rugged in design. It’s not a fancy vaporizer, but that’s the point. 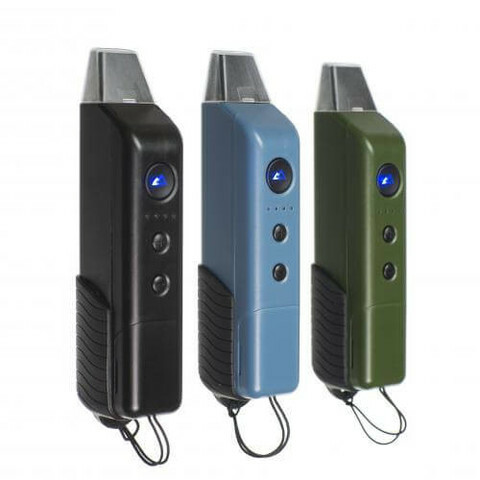 It’s the only portable vaporizer designed for the backcountry. Built tothstand heavy outdoor use, you can take this rugged vaporizer with you when you’re hiking, camping, skiing, mountain climbing or backpacking around the world. Is it the best portable vaporizer out there? For people who love the outdoors – yes. Its features and design allow the Summit to adapt to rough environments without ever compromising on vapor quality. What Makes This Vaporizer So Special? The Summit may not have a sleek design or fancy party modes, but it does have an ergonomic grip design that ensures you never lose hold of your vaporizer – even if you’re traveling in wet weather. And it boasts 8 temperature settings, too, so you can heat up your herbs to just the right temperature. Easy to draw with little draw resistance. Built with food and medical grade materials to maximize flavor. Tested for use in extreme cold and snow. Safe and reliable, with one hour continuous use on the highest setting and an automatic shut off feature. Temperatures range from 320°F to 446°F with 8 preset temperatures to choose from. The easy draw mouthpiece was designed for low resistance inhalation, so no matter your altitude or the temperature outside, you can vape to your heart’s content. A built-in LED display lets you see the battery life and temperature setting at a glance, so you can continue on your journey without distractions. And the stealthy vibration notifications let you know when your device is ready for use without announcing it to the whole world – or just your trail mates. The convenient USB charging port lets you use the Summit even when it’s recharging, and the rubberized grip prevents slips and drops that can easily happen when you’re out on the trail. The magnetic snap-together assembly makes maintenance a breeze, and the magnetic lid is tethered, so you don’t lose it when filling the chamber. Both the air path and heating chamber are constructed with food grade materials, so flavor is never compromised. The Summit produces a lot of vapor, and the flavor is rich and smooth. The chamber holds up to 0.3g of finely ground herbs, which will give you up to 20 draws. 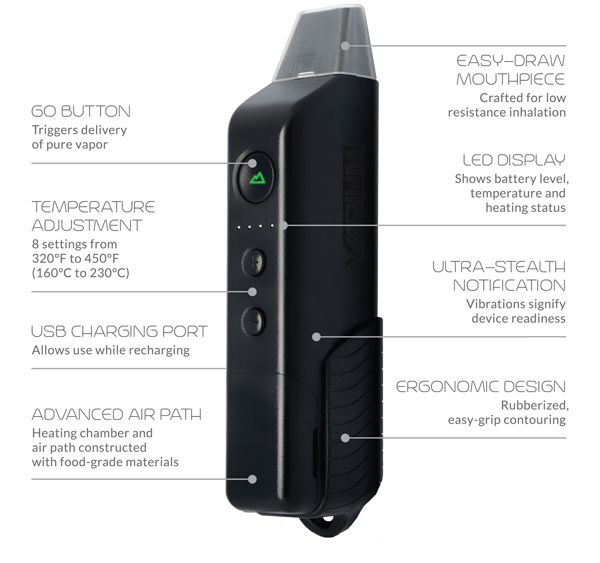 With so many amazing features, you’re probably thinking that this vaporizer costs the same as the Pax – maybe even more because of its rugged design. You’d be wrong. At just $149.99, the Summit offers tremendous value for the money. How Does The Vapium Summit Work? Remove the heating chamber lid. Fill the chamber with your favorite dry herbs. Hold the GO button down for 3 seconds to power up the vaporizer. Tap the “+” and “-“ buttons to adjust the temperature. Press the GO button again. The GO button will turn green and the vaporizer will vibrate when it’s ready for use. The Summit gives you one hour of continuous use on the highest heat setting. And when you’re ready to start recharging, you can keep your session going. The USB charger lets you continue using the Summit even when it’s recharging. How Does the Summit Compare to the Competition? 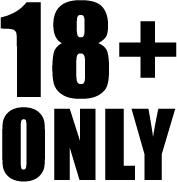 Can the Summit even compare to some of the most popular portable vaporizers, like the Pax and Arizer Air? The Summit and the original Pax have a lot in common. Their designs aren’t too far off from each other, although the Summit is a bit thicker. Both have magnetic oven lids, which make it easy to fill and clean the filling chamber. But the original Pax does falter in one key area: temperature setting. The Pax only has three: low, medium and high. And to access the button to change the temperature, you have to remove the mouthpiece, which can be a hassle – especially if you’re on the go. You can’t use the Pax while it’s charging either, and the Summit comes at a lower price. The Summit is the clear winner here. Priced significantly higher than the Summit, the Pax 2 is arguably the best-selling portable vaporizer on the market. Can the Summit compare? The Pax 2 offers a deeper oven and a high-capacity battery that offers 30% more usage time than the original Pax. Pax 2 has four heat settings, and a more compact design. It comes with a whole bunch of different party modes, too, which really have no effect on vaporization at all. The Pax 2 has a lot going for it. Its battery life is longer than the Summit and it can hold more material. But we’re not sure it can survive a rugged environment like the Summit can. If you’re looking for a vaporizer that you can take with you on your outdoor adventures, the Summit is the better option. The Arizer Air is an impressive portable vaporizer. It features a ceramic heating element, glass dishes and rechargeable batteries that are actually interchangeable. You get one hour of continuous use, and can even use the unit while it’s charging. The Air doesn’t have quite as many temperature settings as the Summit, but it does offer 5 altogether, with ranges from 356°F to 410°F. The Air does have its advantages, and the Summit is pretty similar feature-wise. But again, the Air is not designed for rugged environments, so it’s not well-suited for outdoor, on-the-go use. The Summit is the only portable vaporizer that can survive the backcountry. Whether you love hiking, camping, skiing or snowboarding, the Summit is the only vaporizer that’s designed for use in rugged environments. 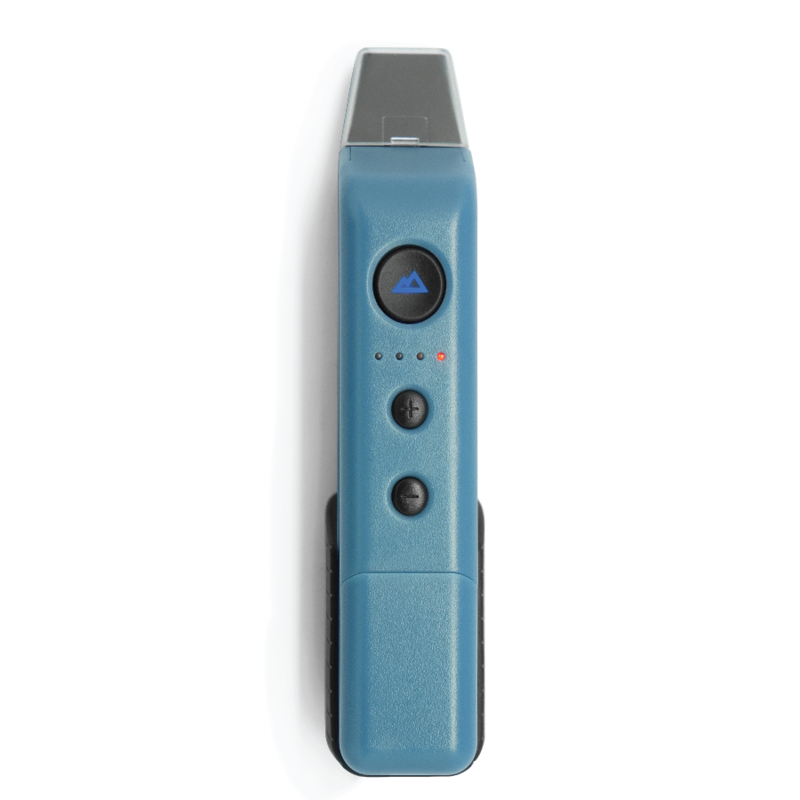 With many of the same features as the top portable models, this vaporizer delivers smooth and delicious vapor every time. Click here to get the Summit Vaporizer today.